The Life-Changing Magic of Tidying Up by Marie Kondo is a best-selling guide to winning the war on clutter. 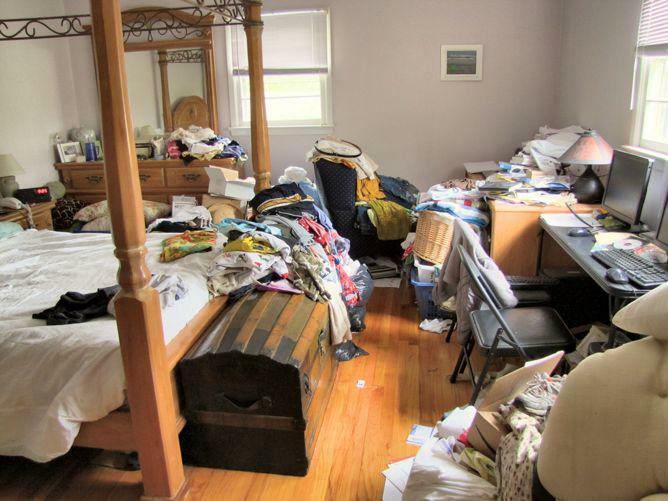 Tokyo-based consultant and author Marie Kondo helps people clean up cluttered spaces. Marie “KonMari” Kondo’s book The Life-Changing Magic of Tidying Up: The Japanese Art of Decluttering and Organizing is a best-seller in Japan, Germany, and the U.K. Kondo favors a radical approach to decluttering that advocates downsizing your stuff in one fell swoop; insists that storage containers promote hoarding, not organization; and takes an emotional approach to helping people discard excess possessions. Here at The Eye, Kondo shares an excerpt from the book that argues that those unable to separate from their possessions suffer from an attachment to the past or anxiety about the future. “Discard anything that doesn’t spark joy.” If you have tried this method even a little, you have realized by now that it is not that difficult to identify something that brings you joy. The moment you touch it, you know the answer. It is much more difficult to decide to discard something. We come up with all kinds of reasons for not doing it, such as “I didn’t use this particular pot all year, but who knows, I might need it sometime.” Or: “That necklace my boyfriend gave me, I really liked it at the time.” But when we really delve into the reasons for why we can’t let something go, there are only two: an attachment to the past or a fear for the future. It’s important to understand your ownership pattern because it is an expression of the values that guide your life. The question of what you want to own is actually the question of how you want to live your life. Attachment to the past and fears concerning the future not only govern the way you select the things you own but also represent the criteria by which you make choices in every aspect of your life, including your relationships with people and your job. When a woman who is very anxious about the future chooses a partner, for example, she is less likely to select someone purely because she likes and enjoys being with him. She might choose someone she doesn’t really like simply because the relationship seems advantageous to her or because she is afraid that if she doesn’t choose him, she may not find anyone else. When it comes to career choices, the same type of person is more likely to choose a job with a large company because it will give her more choices in the future or to work toward certain qualifications as a guarantee rather than because she actually likes the work and wants to do it. A person who has a strong attachment to the past, on the other hand, finds it hard to move on to a new relationship because she can’t forget the boyfriend she broke up with two years ago. She also finds it hard to try out new methods even when the current method is no longer effective because it worked up to this point. When one or the other of these thought patterns makes it hard to throw things away, we can’t see what we really need now, at this moment. We aren’t sure what would satisfy us or what we are looking for. As a result, we increase the number of unnecessary possessions, burying ourselves both physically and mentally in superfluous things. Ask this for every one of these items. As you do so, you’ll begin to see a pattern in your ownership of things, a pattern that falls into one of three categories: attachment to the past, desire for stability in the future, or a combination of both. The best way to find out what we really need is to get rid of what we don’t. Quests to faraway places or shopping sprees are no longer necessary. All you have to do is eliminate what you don’t need by confronting each of your possessions properly. The process of facing and selecting our possessions can be quite painful. It forces us to confront our imperfections and inadequacies and the foolish choices we made in the past. Many times when confronting my past during the tidying process, I have been so ashamed I felt like my face was on fire. My collection of scented erasers from grade school, the animation-related trinkets that I collected in junior high school, clothes I bought in high school when I was trying to act grown-up but that didn’t suit me at all, handbags I bought even though I didn’t need them just because I liked the look of them in the shop. There are three approaches we can take toward our possessions: face them now, face them sometime, or avoid them until the day we die. The choice is ours. But I personally believe it is far better to face them now. If we acknowledge our attachment to the past and our fears for the future by honestly looking at our possessions, we will be able to see what is really important to us. This process in turn helps us identify our values and reduces doubt and confusion in making life decisions. If we can have confidence in our decisions and launch enthusiastically into action without any doubts holding us back, we will be able to achieve much more. In other words, the sooner we confront our possessions, the better. If you are going to put your house in order, do it now. 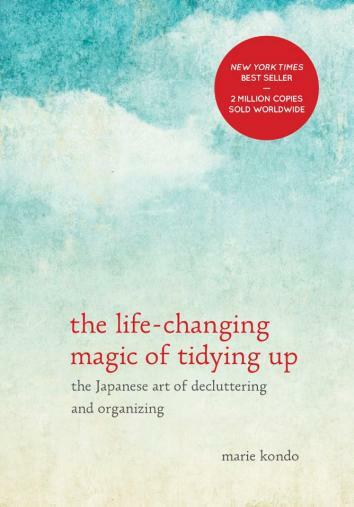 Excerpted with permission from The Life-Changing Magic of Tidying Up by Marie Kondo © 2014. Published by Ten Speed Press.